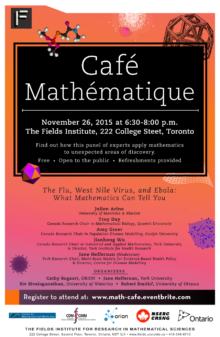 Café Mathématique is an informal workshop designed to explore the applications of mathematics in different and unexpected areas. The Café is free and open to the general public. 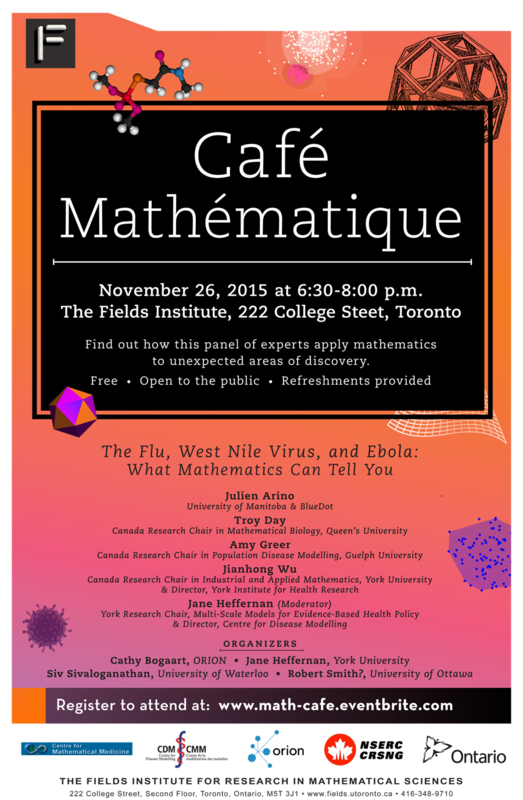 Moderated by Jane Heffernan, York University Research Chair and Director of Multi-scale models for Evidence-Based Health Policy at the Centre for Disease Modelling, Department of Mathematics and Statistics, York University. Anyone interested in math, stats, and the various intersecting applications in the world. Open to the public. Now available! Share or watch the workshop event.